Recipe for Spicy Garlic Cashew "Cheese"
Yeast is a single celled fungus that, like us, loves sugar. Just give yeast a sugar source and it literally comes to life. Because of our shared sweet tooth, humans have developed a very intimate relationship with yeast. One yeast in particular, Saccharomyces, is hands down the most beloved yeast in human history. Saccharomyces is Latin for “sugar fungus.” It’s what makes bread rise. It turns barley into beer, and grapes into wine. While Saccaromyces is the yeast of food and drink, Candida is the yeast typically associated with infection. A decidedly less popular yeast is Candida albicans. Like Saccharomyces, Candida also likes sugar, but you certainly don’t want to make food with it. While Saccaromyces is the yeast of food and drink, Candida is the yeast typically associated with infection. Both kinds of yeast are found within our bodies and throughout the environment, but Saccharomyces is a far better yeast to cultivate. In addition to its fermentation features, Saccaromyces is rich in vitamins, minerals, and protein (up to 50 percent by weight), yet very low in fat and calories. In fact, some of the first supplements were made primarily of Saccaromyces fungus. Today this product is known as Brewer’s yeast. 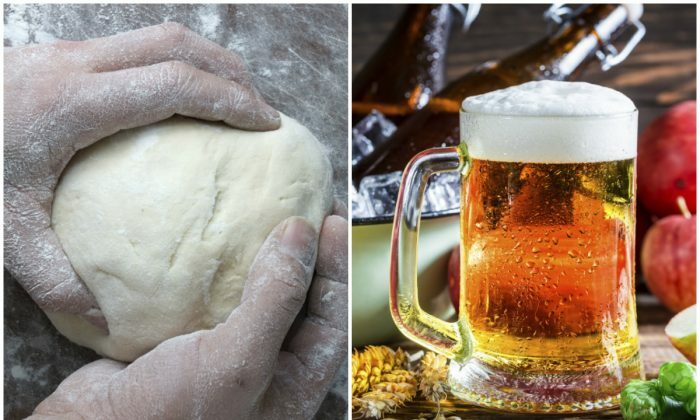 People have been brewing alcohol for thousands of years, but only in the last few hundred years did we figure out the microscopic mystery behind how hops and barley can be turned into beer. The secret is Saccaromyces. Scientists found that when Saccharomyces cells feed on grain or fruit it produces alcohol. From the yeast’s perspective, alcohol production ensures that other microorganisms don’t invade its food source. But it has attractive qualities for humans as well. Alcohol’s inebriation feature gets all the attention these days, but another important characteristic is that it prevents spoilage. Before the advent of refrigeration, mildly fermented beverages provided something safe to drink, especially if local water sources were contaminated. Our bodies can’t make or store B vitamins, so we need to get it from food. Brewer’s yeast is a byproduct of beer making. After the beer is poured off and bottled up, the leftover fungus is called brewer’s yeast. This highly nutritional, alcohol-free product is sold in pills, or in flakes to add to food. It’s a weird flavor at first—both bitter and tangy—but it can become an acquired taste. In Australia, for example, a brewer’s yeast-based spread called Vegemite is very popular. In addition to providing a concentrated dose of easily digestible protein, brewer’s yeast is also the richest food source of B vitamins available. B vitamins are essential for hundreds of critical enzymatic processes in the body. They provide energy, support normal functioning of the nervous and digestive systems, as well as maintain the health of the liver, eyes, nails, skin, and hair. Our bodies can’t make or store B vitamins, so we need to get it from food. When your B vitamin intake is low your health can deteriorate. Stress, caffeine, sugar, and alcohol consumption can quickly consume these nutrients. Brewer’s yeast is a natural B-complex. Two tablespoons contain most of the body’s daily requirements of thiamin (B1) and riboflavin (B2), and significant doses of niacin (B3), pyridoxine (B6), and folate (B9). Brewer’s yeast is also rich in minerals such as iron, selenium, and magnesium. It’s a good source of chromium too, which is a mineral shown to lower blood sugar. Brewer’s yeast has other medicinal applications as well. In Europe, yeast pills are used to relieve diarrhea, and even treat respiratory infections. In Germany, it is often prescribed to treat chronic acne. One study suggests that it can also treat PMS symptoms. Nutritional yeast is similar to Brewer’s yeast. The most noticeable difference is taste. Nutritional yeast is usually grown on molasses which gives the Saccharomyces a rich, cheesy flavor without the bitterness of brewer’s yeast. Nutritional yeast typically has more B vitamin content than brewer’s yeast, particularly B12—a vitamin usually only found in animal products. This makes nutritional yeast an important addition to a strict vegetarian diet which often lacks B12. According to the National Institutes of Health, B12 is required for proper red blood cell formation, neurological function, and DNA synthesis. While both brewer’s and nutritional yeasts have about the same amount of protein, they vary a bit in mineral content. For example, nutritional yeast lacks the chromium and selenium of brewer’s yeast, but it is a superior source of potassium. Although Saccaromyces infections are rare, it can happen, so you should never consume live yeast. Nutritional and brewer’s yeast are both heated or “deactivated” before they are sold. The process kills the yeast cells so they don’t end up growing inside you. Unlike nutritional and brewer’s yeast, baker’s yeast is a living Saccaromyces organism right out of the package, but it becomes deactivated as the bread cooks. Deactivated yeast is safe for most people to eat (it will not promote Candida infection). However, those with yeast allergies, chronically irritated intestines (such as Crohn’s disease), or who are immune compromised are advised to steer clear of yeast. Because of its cheese-like flavor, nutritional yeast is often a key ingredient in vegan cheese substitutes. It can also be sprinkled on vegetables, pasta, popcorn, or anything else that wants for a savory taste. It’s an easy way to add more flavor and extra nutrition to any dish. If you’re looking for an alternative to humus, this recipe is for you. For those seeking a spicier kick, use habanero peppers instead of jalapenos. Soak cashews in filtered water for about six hours. Drain and set aside. In a blender or food processor, combine garlic, water, peppers, and umeboshi vinegar and liquefy. Add cashews and nutritional yeast and pulse until the mix becomes a smooth, creamy paste.